Menopause is defined as occurring 12 months after your last menstrual period and marks the end of menstrual cycles. Menopause can happen in your 40s or 50s, but the average age is 51 in the United States. 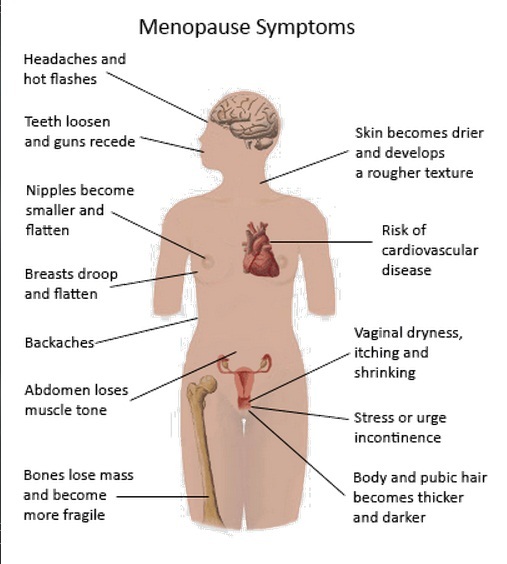 Menopause is a natural biological process. Although it also ends fertility, you can stay healthy, vital and sexual. Some women feel relieved because they no longer need to worry about pregnancy. Even so, the physical symptoms, such as hot flashes, and emotional symptoms of menopause may disrupt your sleep, lower your energy or — for some women — trigger anxiety or feelings of sadness and loss. Skipping periods during perimenopause is common and expected. Often, menstrual periods will occur every two to four months during perimenopause, especially one to two years before menopause. Despite irregular periods, pregnancy is possible. If you’ve skipped a period but aren’t sure you’ve started the menopausal transition, you may want to determine whether you’re pregnant.